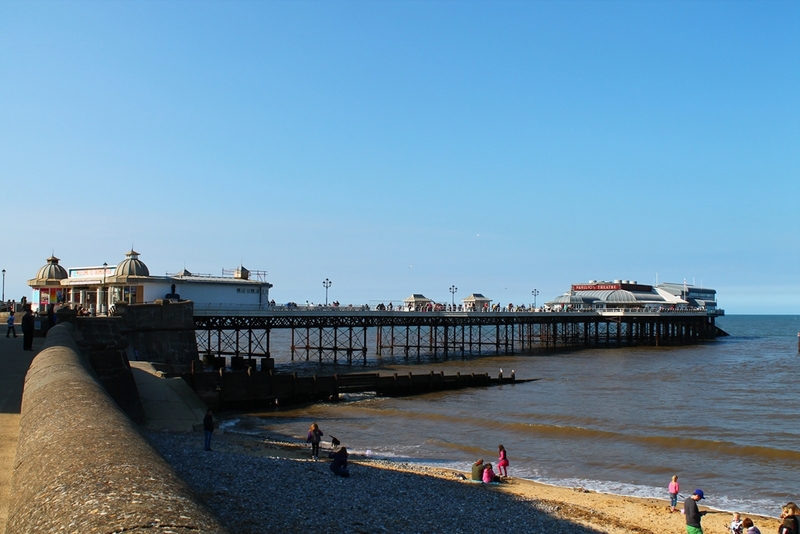 Cromer is often referred to as Sheringham’s sister resort and is renowned for its beach, the pier and the Pavilion Theatre. There is a fairly steep descent to the beach with easy access for buggies & wheelchairs provided via a lift near the park and boating lake. Cromer beach retained its Blue Flag award for 2016 and is the perfect spot for sandcastles and sunbathers. The lack of modern amusements lends the pier a more traditional atmosphere, but there is still plenty to do for all ages from fishing and crabbing to visiting the RNLI Lifeboat and relaxing in the Pavilion Bar, and of course there is the view as you look back at the town. Taking centre place in Cromer is the parish church of St Peter and St Paul. The church was rebuilt in the 19th century by the architect Arthur Blomfield and standing at 160ft the tower is the highest in the county. 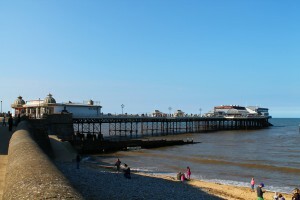 Cromer is home to two museums, the Cromer Museum and the RNLI Henry Blogg Museum. The town hosts an annual summer carnival, usually around the same time as Sheringham’s carnival, including all of the events you’d expect. As well as the main summer carnival, visitors can look forward to the Cromer and Sheringham Crab Festival. 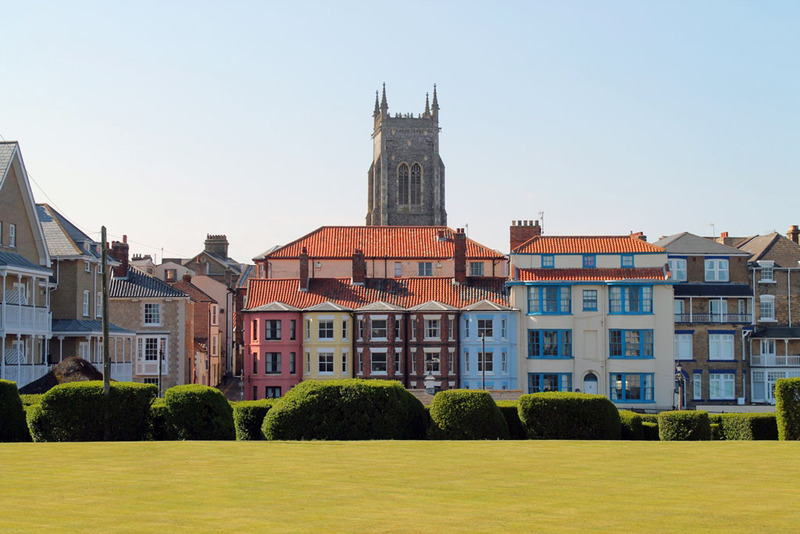 Historically there is some good natured rivalry between our towns, but these are put to one side as we celebrate our seafaring and fishing communities, and all that North Norfolk has to offer. If you are interested in art festivals, Cromer and Sheringham host “Coast“. This festival runs over 10 days around the autumn half-term week with a number of events hosted in Cromer, Sheringham and neighbouring towns. For the avid golfers, there is the Royal Cromer Golf Club. This can be found on the road out of Cromer towards Overstrand. Founded in 1888 it gained royal status through the patronage of the then Prince of Wales, later to become King Edward VII. 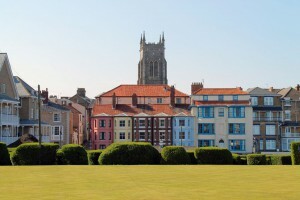 Visitors are welcome and with the other outstanding golf courses in Sheringham and beyond would be ideal as part of a golfing tour of North Norfolk. Fun family attractions include the South American themed Amazona Zoo, and for the budding racing drivers in your family there is KartTrak Cromer – an outdoor go-karting experience. If you are stuck for something to do on a rainy day, then why not take in a film at the Regal Multiplex. This small, traditional cinema usually has daily showings of all the latest blockbuster films alongside art-house and independent movies. The seventh annual Crab & Lobster Festival has a wide range of events and activities celebrating Sheringham & Cromer's close links to the sea. The ever popular Cromer Carnival returns in 2018. Events will be confirmed nearer the time.